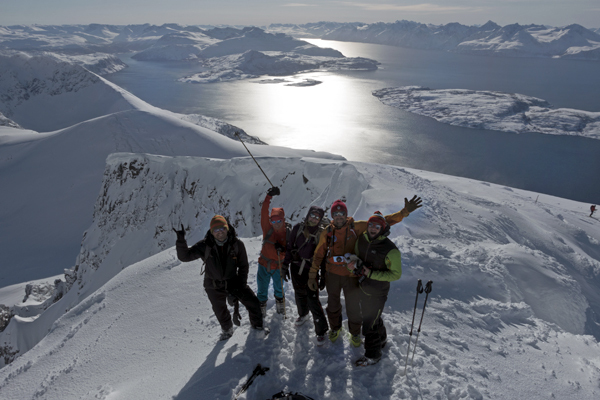 Uløya’s icefalls and rock walls are still mostly virgin unclimbed routes. The two main valleys offer numerous ice cascades. The two largest areas are the upper level of the Blåvannet Valley and Isvannet. 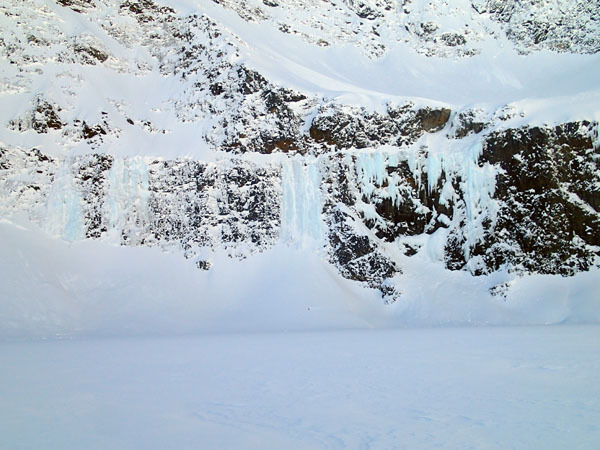 Ice cascades, 10, 30, 60 metres long, up to level WI6, stretch out above you. The rock wall above Isvannet is a mass of interesting and challenging dry-tooling opportunities with exciting finale and exit on ice. All of them are still waiting to be conquered. Could it be you that does it? Below the lakes are many smaller areas waiting to be discovered and explored. From the 100m Saeteraksla ribs with numerous ice cascades to small outcrops perfect for practicing dry tooling techniques. Come and help us explore them. Choose “Kart” under this link to see detailed map. In 2016 the first wall routes were established. 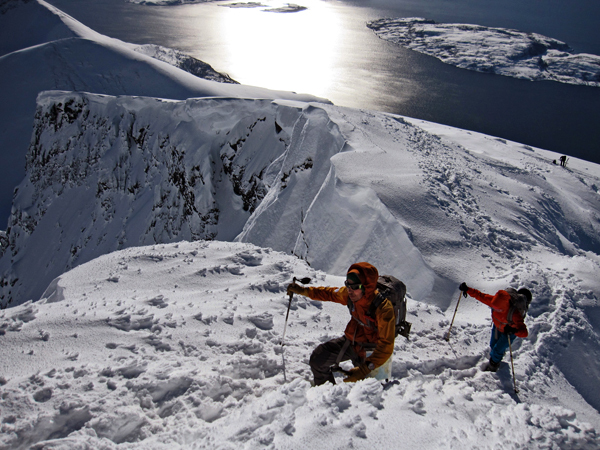 The central Pillar of Uløytinden was climbed via “Starless Spur” (Chmielinski-Klimczak-Paszczak, 650m, M6+, 10hrs), the north face of Skjelettinden 942m (“The Three Max” Kulesza-Wolski, 450m, M5+, 10hrs), and the east ridge of Skjelettinden (Szycman-Warzywoda, III, 3 hrs). 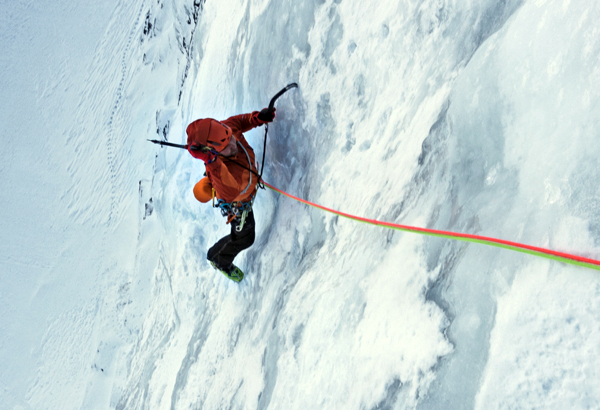 The first icefalls were climbed by 2 Poles –Norwegian residents Paul Karczmarczyk and Witek Dabrowski in April 2015. 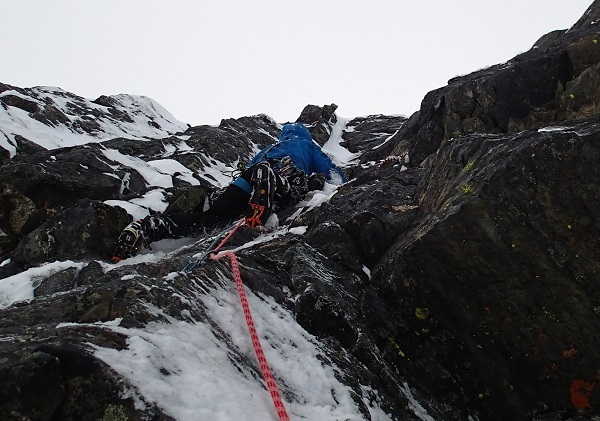 Check out the Alpinist Magazine report here. 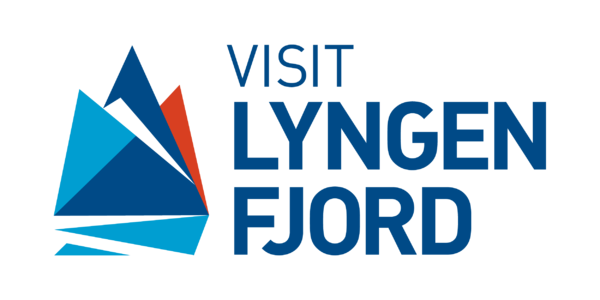 Uløya boasts fantastic walls in 3 picturesque valleys. 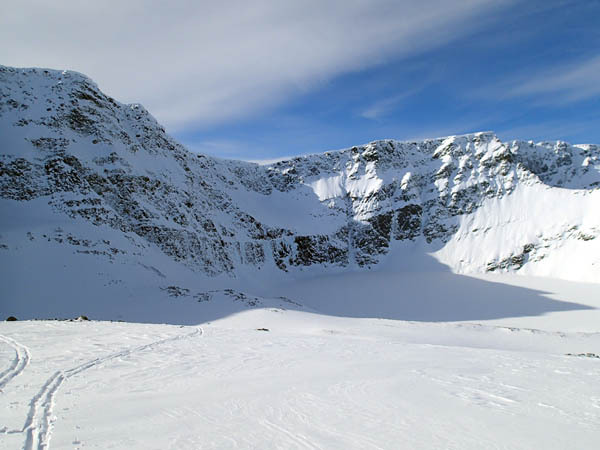 The largest one is the Isvannet Valley with faces up to 500m in height, culminating in the summit of Uløytinden 1116m. 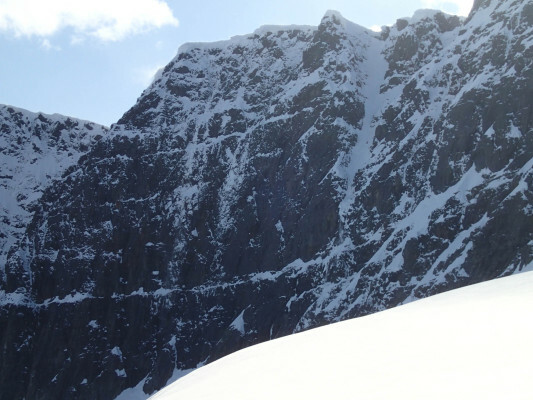 The most impressive formation is a central pillar with a difficult headwall. 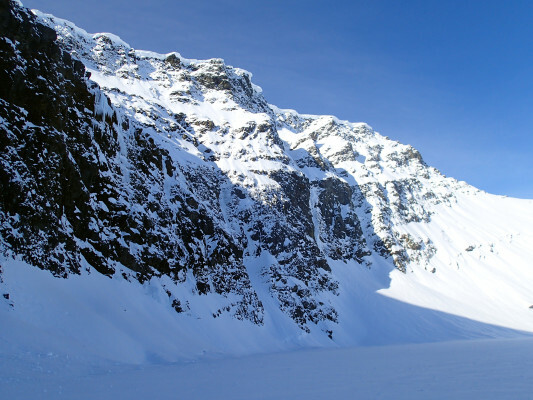 The face is home to numerous gullies, complete with spectacular icefalls and cascades. Smaller, but much steeper and far more serious looking, is the eastern face in the Blåvannet valley, approximately 300 m high, but with many exposed, difficult problems to solve, before leading you to the summit of Blåtinden at 1142m. Finally, there are the northern walls of Blåtinden which climb up from the small Blåtindvannet Lake. These walls are approximately 300m high, but less steep than the eastern ones and less demanding.